Arrive at Nairobi’s Jomo Kenyatta International Airport & enjoy an assisted transfer to Wilson Airport. 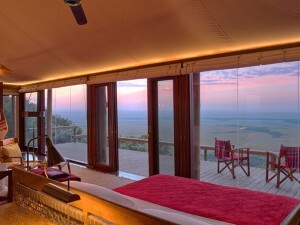 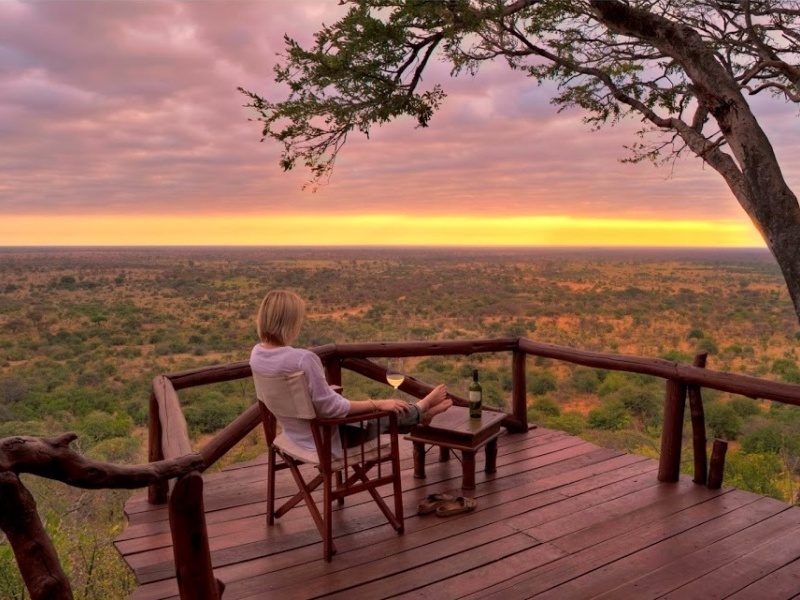 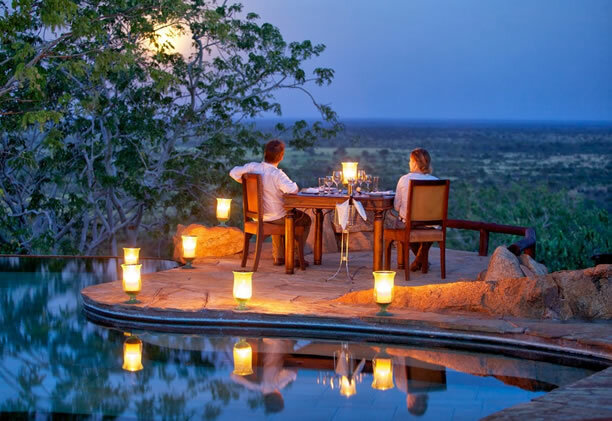 Fly to Meru National Park & check in at Elsa’s Kopje for 3 nights on a full board basis. It was in Meru that George and Joy Adamson famously raised Elsa the lioness and it’s in her metaphorical pawmarks that you walk. 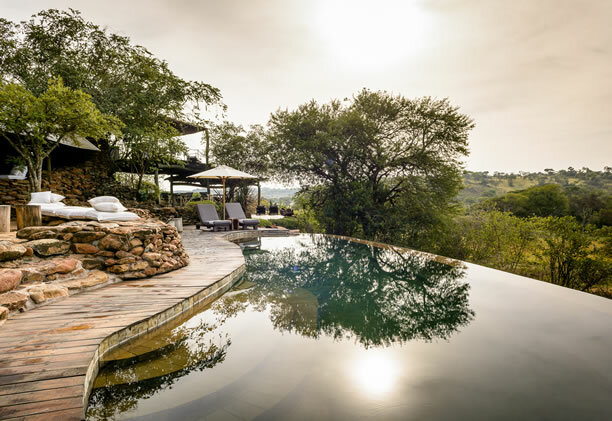 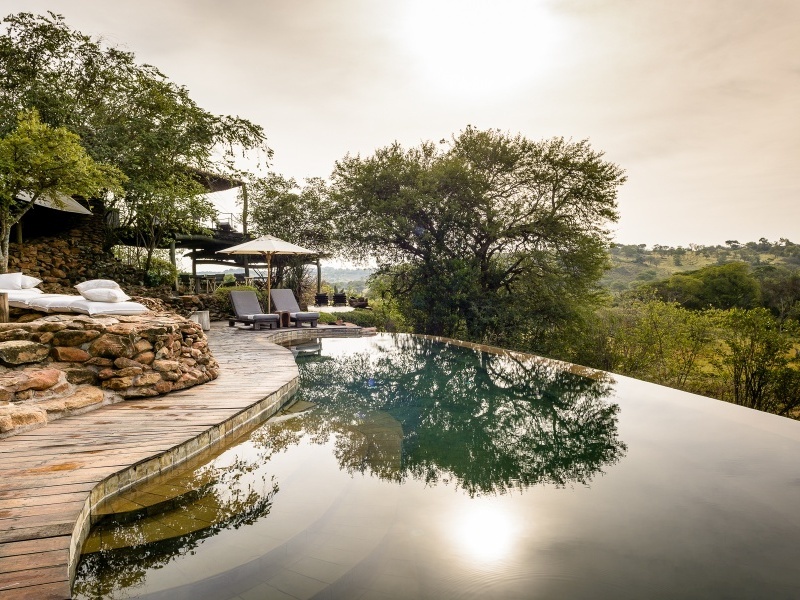 Set amid striking vegetation and with commanding views, the 9-cottage camp combines simplicity with luxury to create an exclusive safari retreat in a little visited corner of Kenya. Lions are among the highlights here; there’s also cheetah and leopard as well as elephant and big herds of buffalo. You’ll see unusual animals too – the long-necked gerenuk – as well as less familiar northern species of zebra and giraffe. 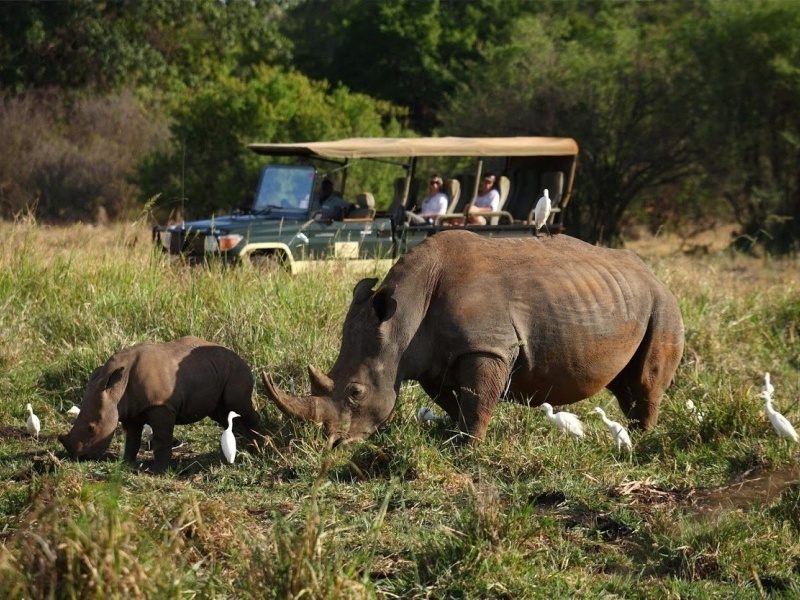 There’s now even a rhino sanctuary in the park. 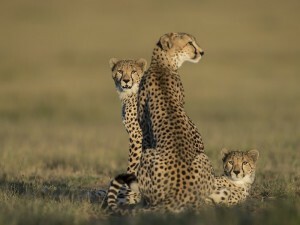 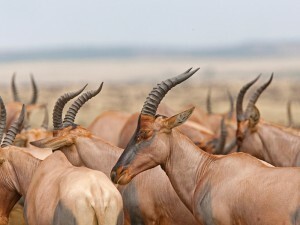 Game drives with expert guides take you into the heart of it all. Fly to the Masai Mara & transfer overland to Angama Mara for 3 nights on a full board basis. 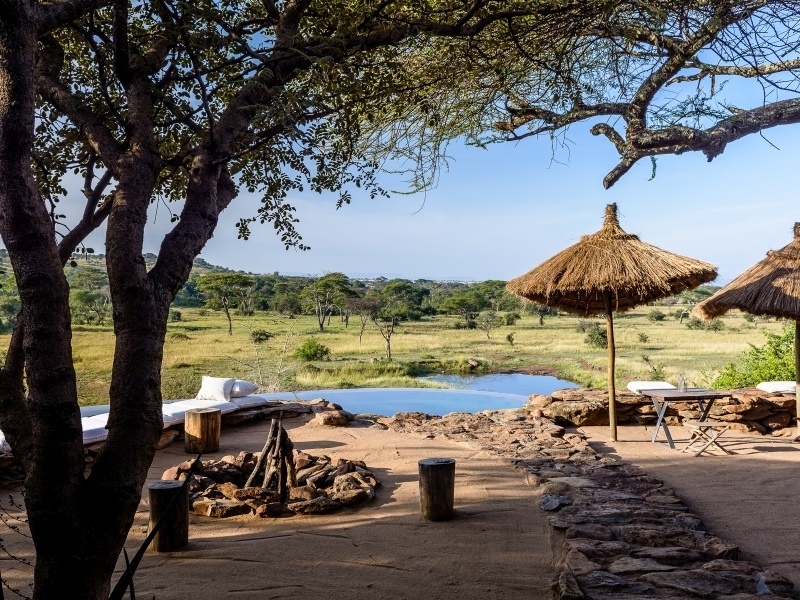 If the setting of your accommodation looks familiar, it’s because Angama Mara looks out over the scene made famous in the classic film ‘Out of Africa’. 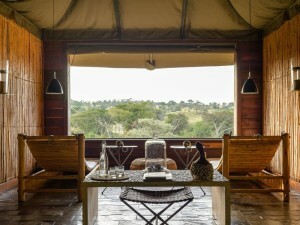 The Mara plains really are sweeping here, and teeming with wildlife too, not least when the great wildebeest migration rolls in from July to November – the camp is particularly well placed for the dramatic river crossings. 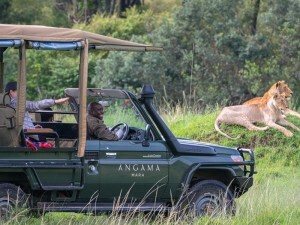 But the game viewing is excellent all year round here, and you’ll be enjoying it from the vantage of open-sided vehicles as well as on foot and during spot-lit night drives. 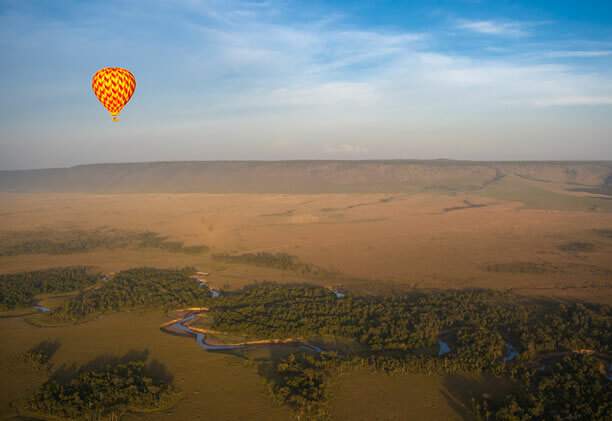 There’s also the option of a hot-air balloon flight over the savannah; others may want to visit a local Maasai village for an insight into life in big game country. Back at camp you’ll find some of the best amenities in the area, ranging from Wi-Fi and mobile phone connectivity to a gym, swimming pool and complementary laundry service. 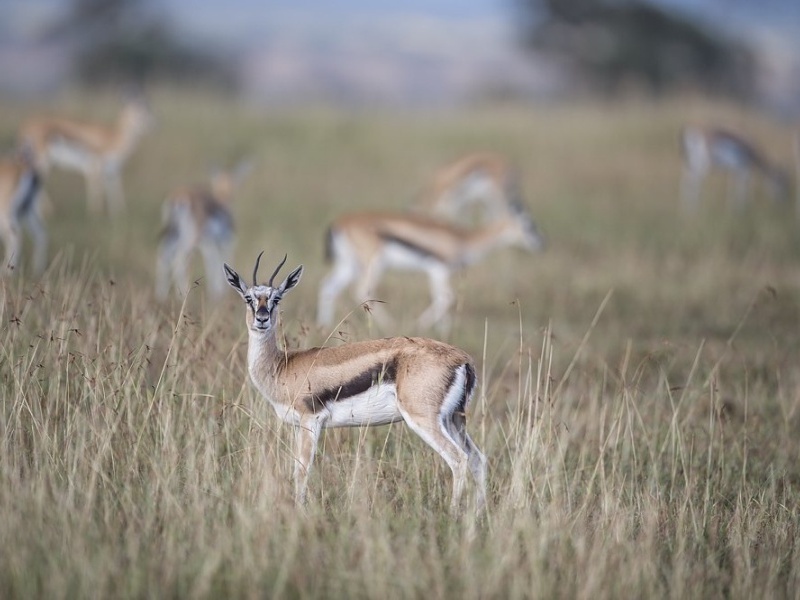 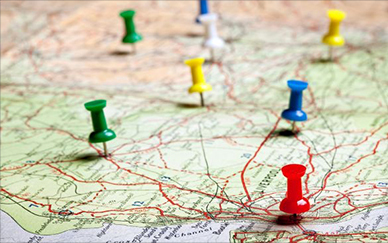 Fly to the border & cross into Tanzania with an assisted overland transfer. 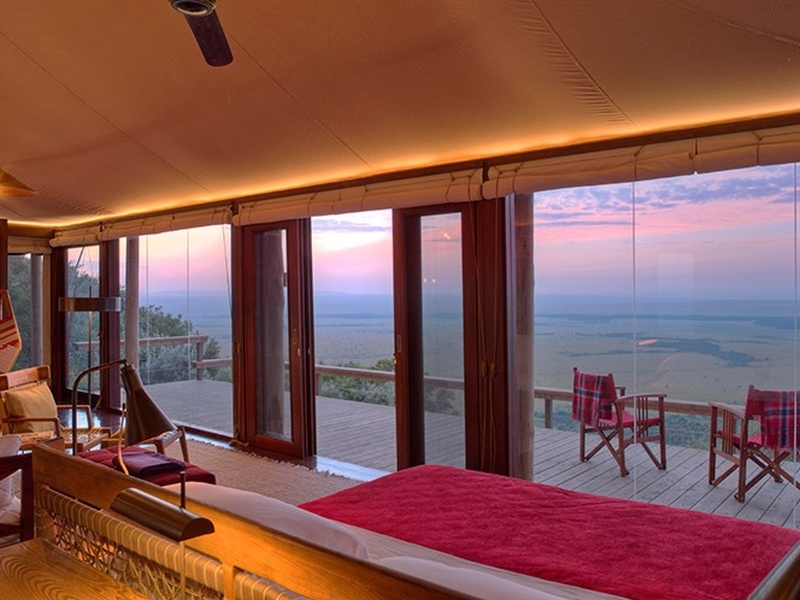 Catch a flight to the Serengeti’s private Grumeti Reserve & Faru Faru Lodge for 3 nights on a full board basis. 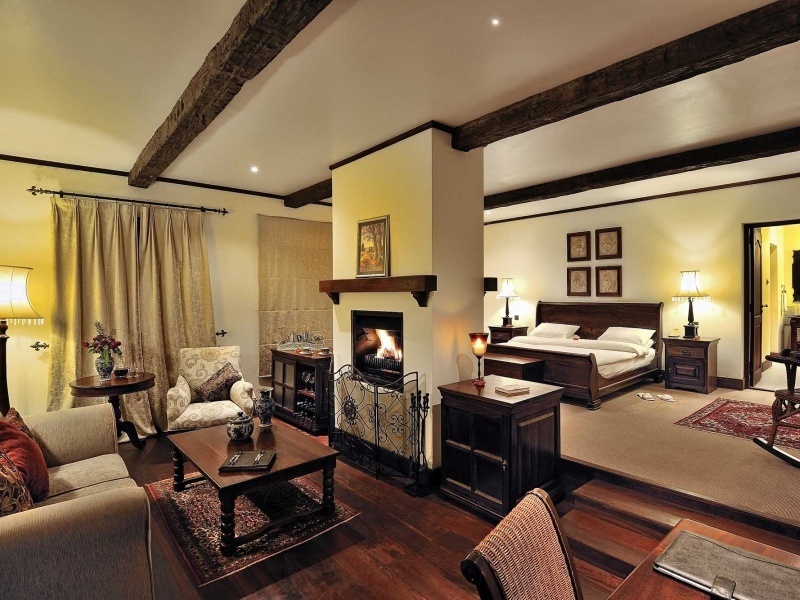 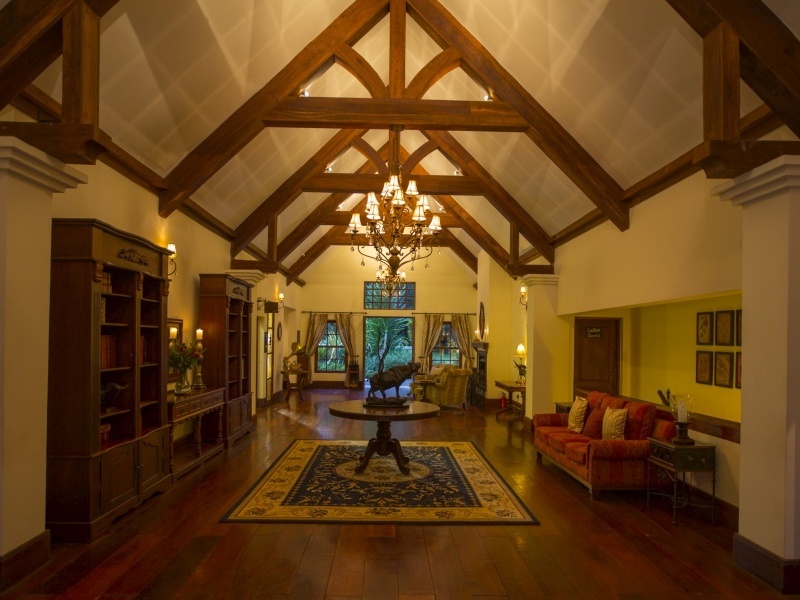 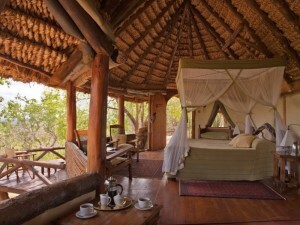 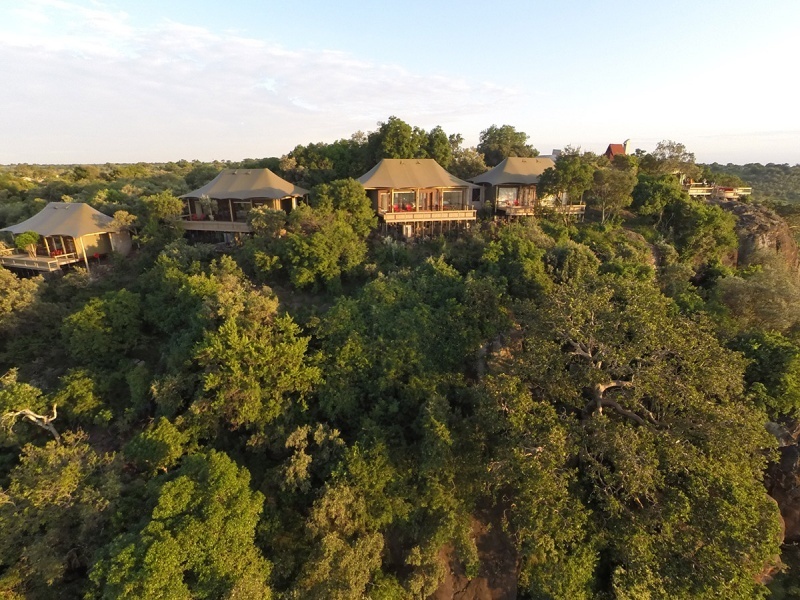 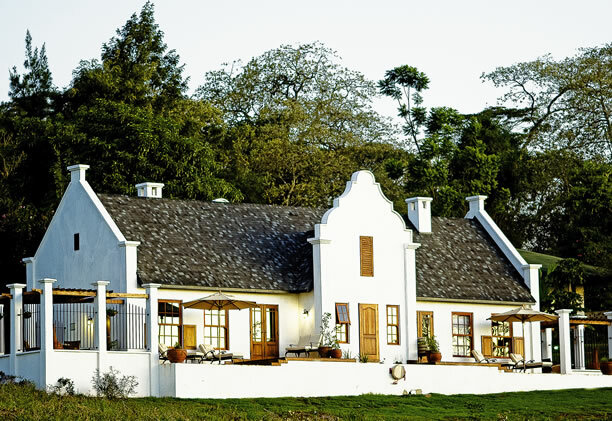 A riverside setting gives this extraordinary lodge prime location for game viewing. 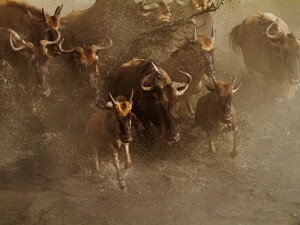 The Grumeti River attracts wildlife – and their predators – all year round but it’s when the thundering wildebeest herds arrive in June and July that the area earns its international reputation. It’s the time of the great river crossings, with wildebeest desperately trying to avoid monstrously sized crocodiles as the herds cross back into Kenya’s Masai Mara. 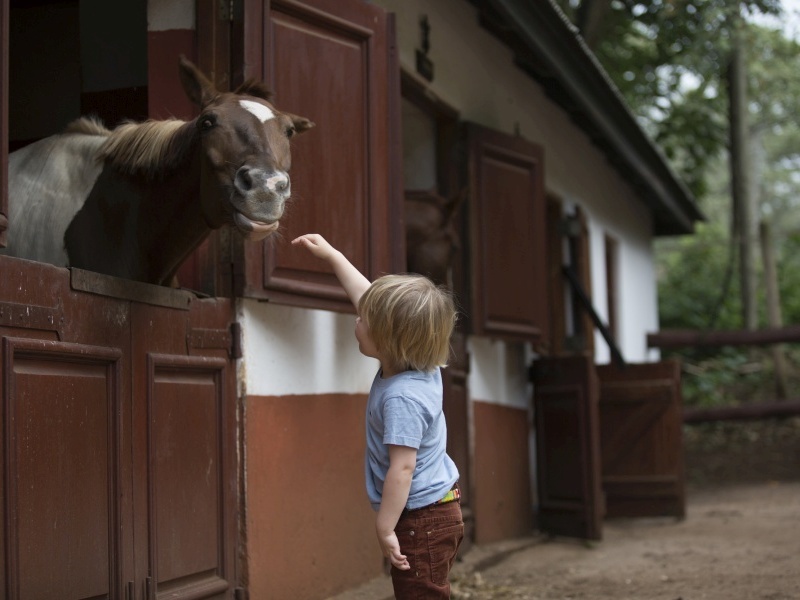 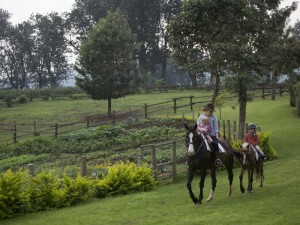 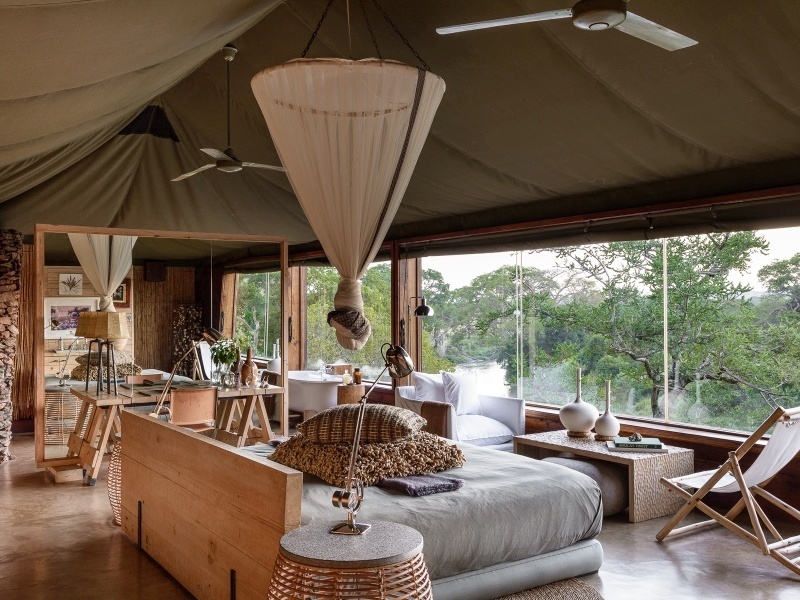 Back at camp you can choose between archery, croquet, horse riding, mountain biking and dawn hot-air ballooning; your opulent suite comes complete with mini bar and viewing deck with a Swarovski spotting scope. 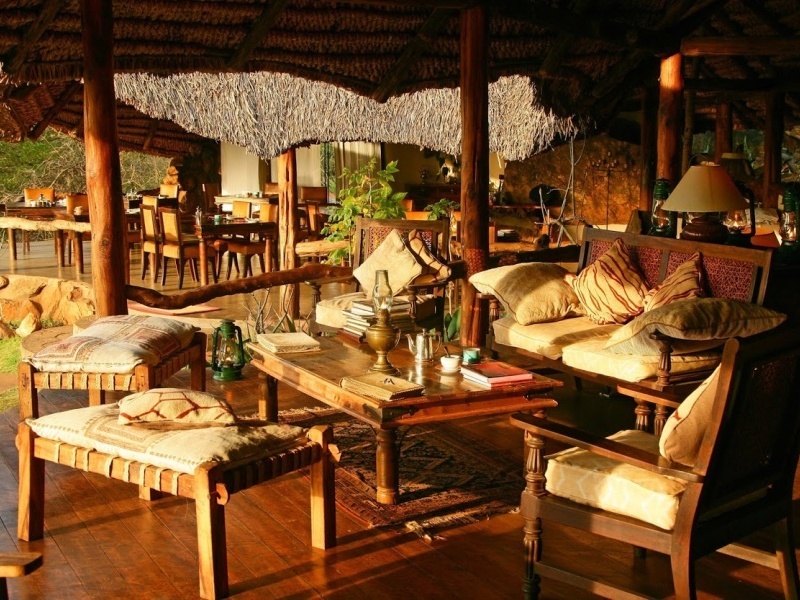 Fly to the Manyara Airstrip & transfer by road to the Manor at Ngorongoro, set close to the Ngorongoro Crater. Check in for 2 nights on a full board basis. It’s a pleasant drive through gentle farmland after your flight from the Serengeti. 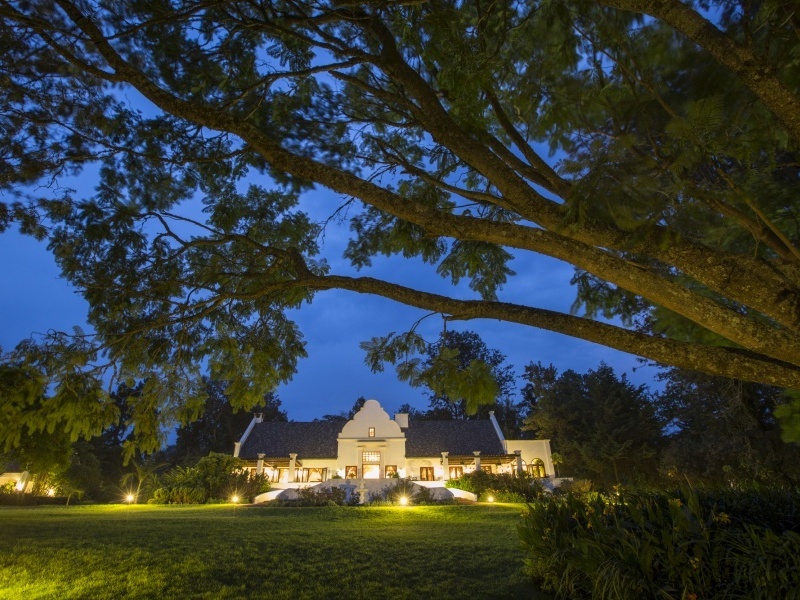 Your destination is the Ngorongoro Highlands and your accommodation the Manor at Ngorongoro, lying on a coffee farm and surrounded by gorgeous gardens and views. 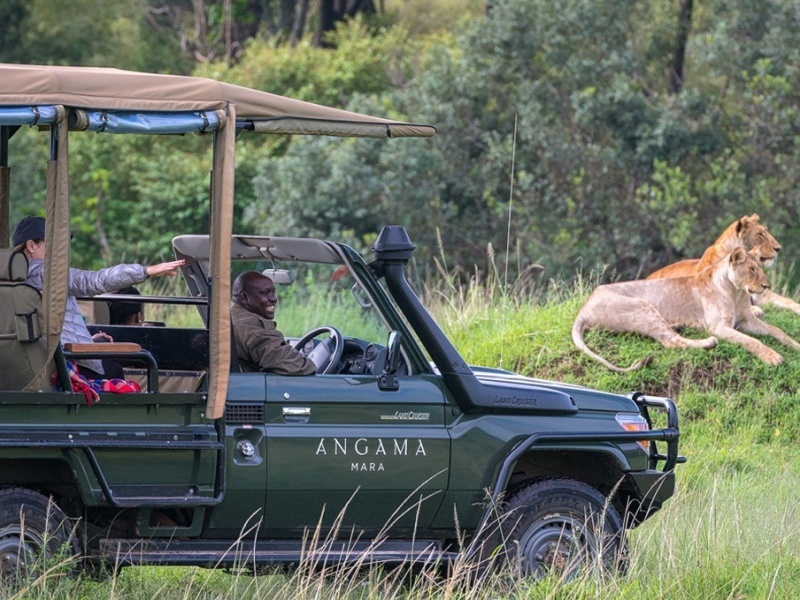 It’s your very comfortable base from which to set out and explore the Ngorongoro Crater the next day. 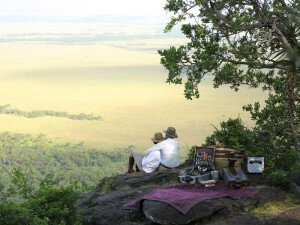 It’s a full day safari, complete with picnic under a tree. 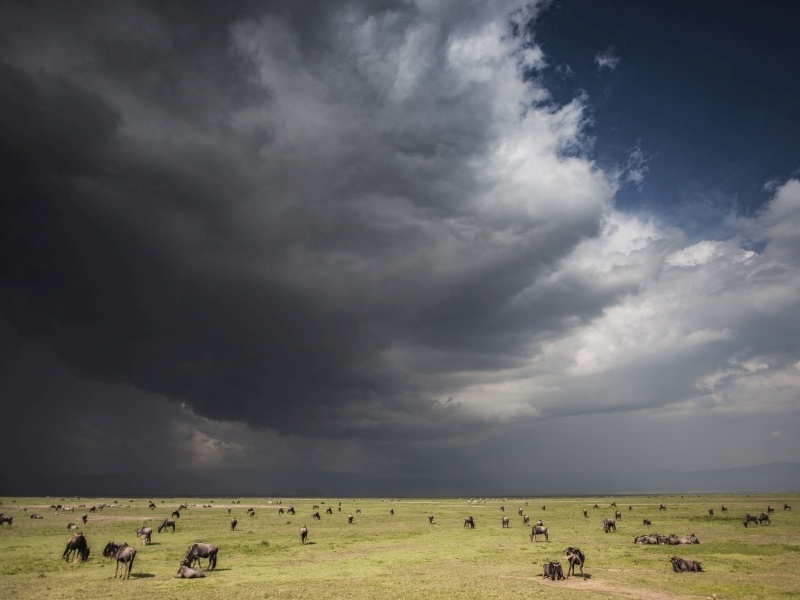 The crater is a biological marvel, home to one of the densest concentrations of big animals in Africa. You may even see the Big 5 – lion, leopard, elephant, buffalo and rhino – in the course of the day. 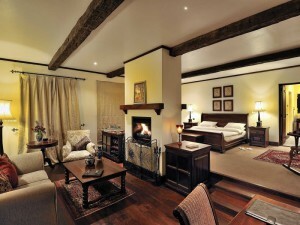 Back at the Manor you’ll enjoy spacious suites, great service and wonderful food and wine. 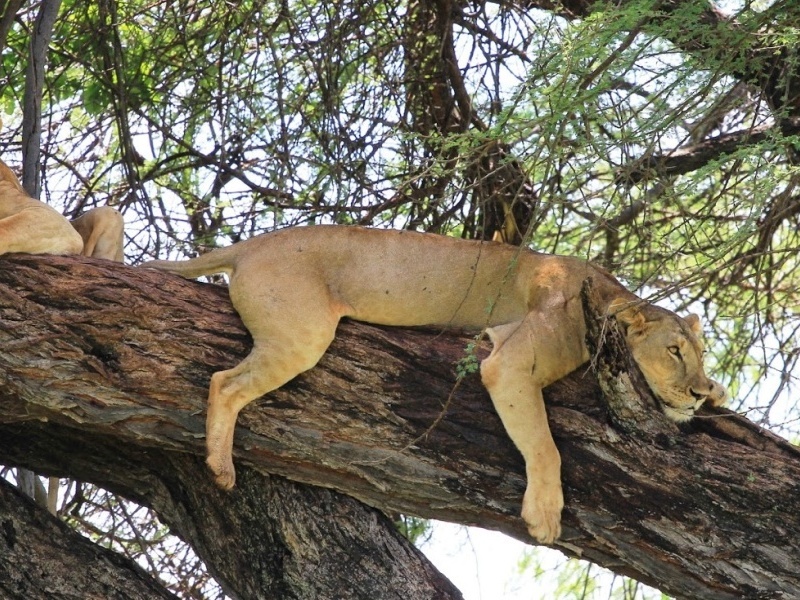 Take a morning flight to Kilimanjaro International Airport in Arusha where your safari comes to an end. 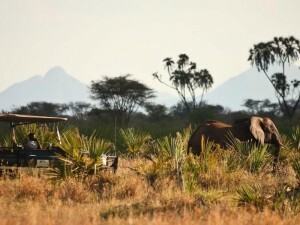 After breakfast you’ll transfer back to the airstrip for a scheduled flight to Kilimanjaro International Airport to connect with your flight to your next destination. 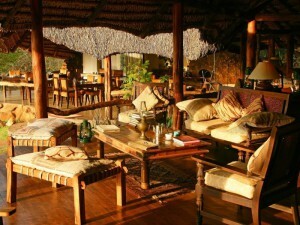 If you’d like to add on a few days at an Indian Ocean resort, just ask us for advice and recommendations. 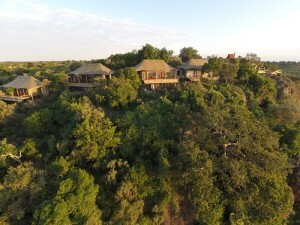 Full board accommodation at all properties, Soft drinks, house wines, beer & selected spirits at all properties, Conservation / Park fees, Game drives in 4 x 4 vehicles, Scheduled flights, Airport / Airstrip transfers, All domestic flight departure tax, AMREF Flying Doctors Membership, Laundry at all properties, All known Government taxes, Day trip into the Ngorongoro Crater with picnic lunch.